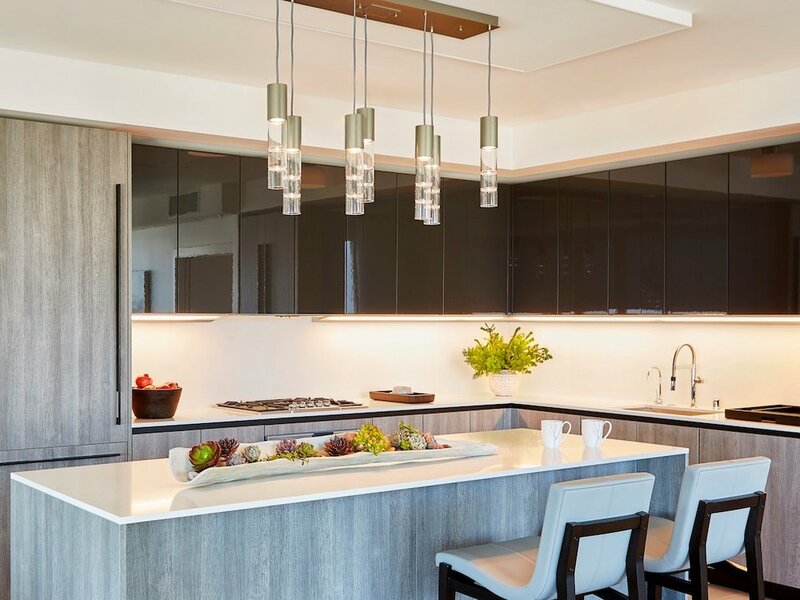 Over her 50 years in the design industry, Palo Alto-based Pamela Pennington has seen a lot of changes, especially in the ways that technology has shaped her clients’ approach to interior design. A modernist by preference, Pamela has made her home in the ideal location for her design sensibilities. Nestled in California’s Silicon Valley, Palo Alto sits at the epicenter of technology innovation, and early on its residents were naturally drawn to a modern aesthetic. 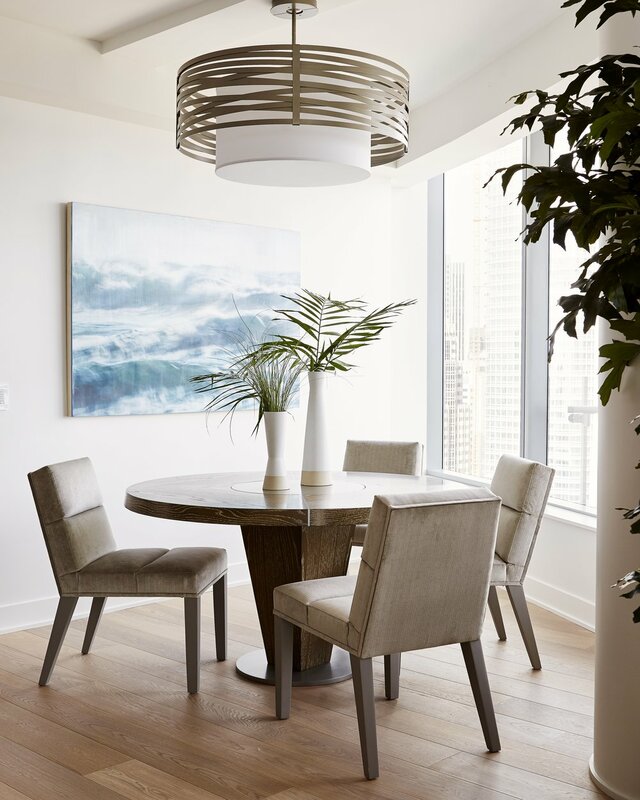 Pamela’s clientele of engineers, scientists and technology investors appreciate the intentional precision of modern structures, from the famous Eichler houses that Pamela cut her teeth on a half century ago to the sleek glass condominium towers that dot the San Francisco bay today. 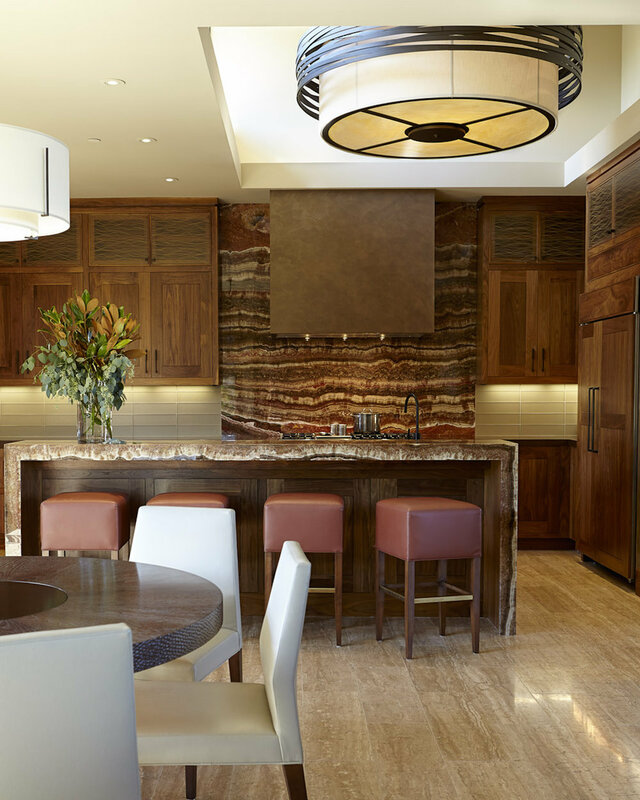 Six feet in diameter, a CHA2016 drum chandelier from the Hammerton Fusion collection makes a big design statement in this contemporary kitchen. 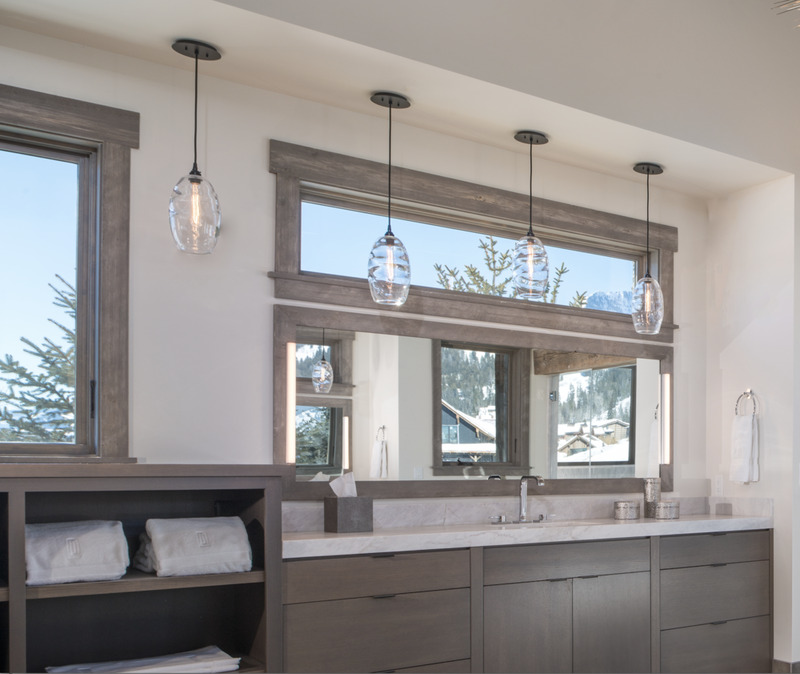 A pair of Hammerton LA2095 contemporary pendants in the powder room of a beachfront home. 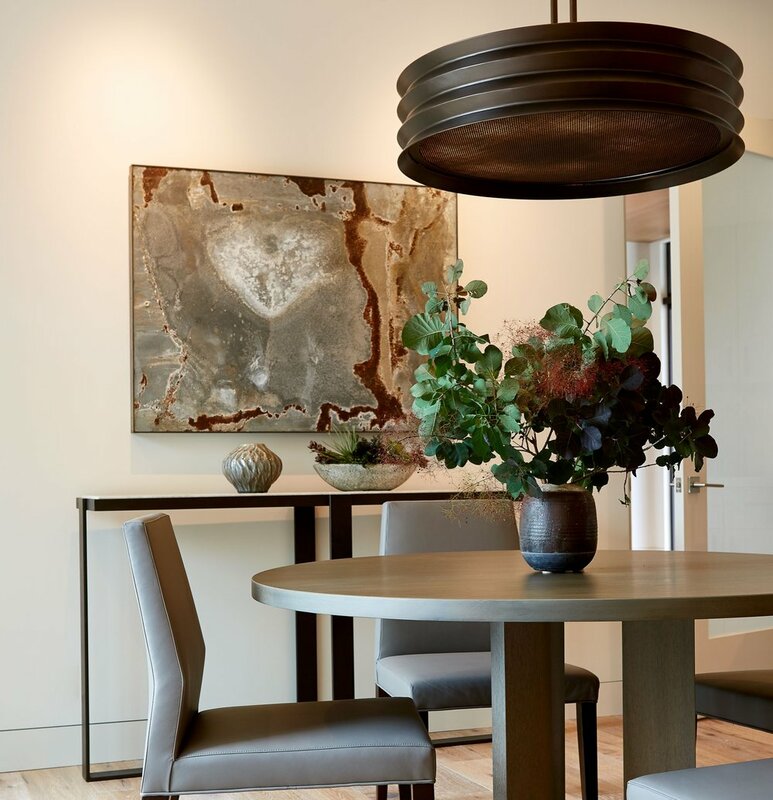 From Hammerton Studio, an Urban Loft ‘Trestle’ linear suspension floats above a dining table. From Hammerton Studio: a pair of Tempest drum chandeliers, each with linen shade. 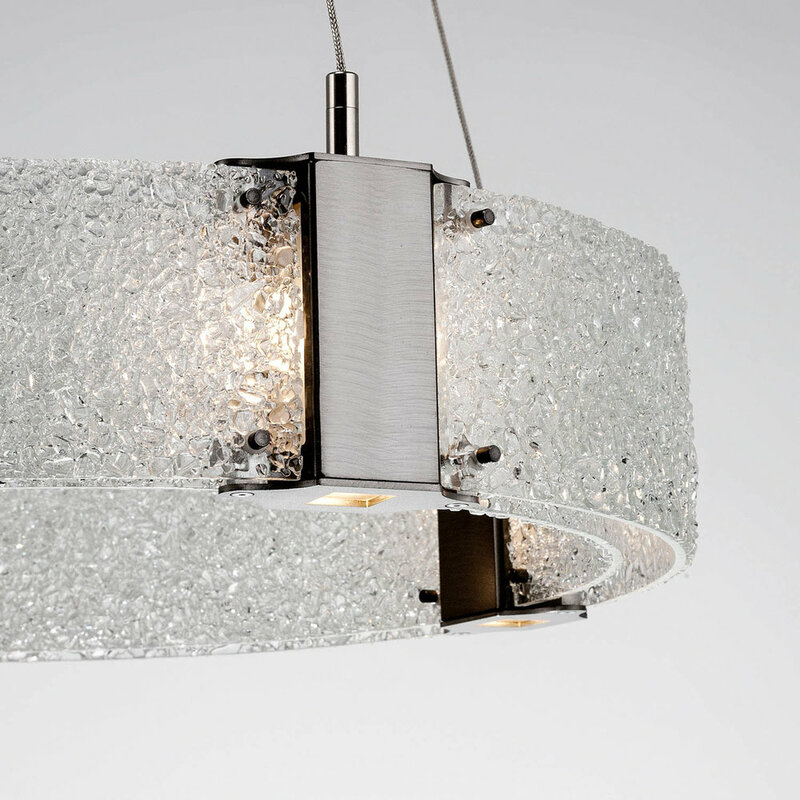 A Hammerton CH2144 drum chandelier in steel, with a fine mesh diffuser. 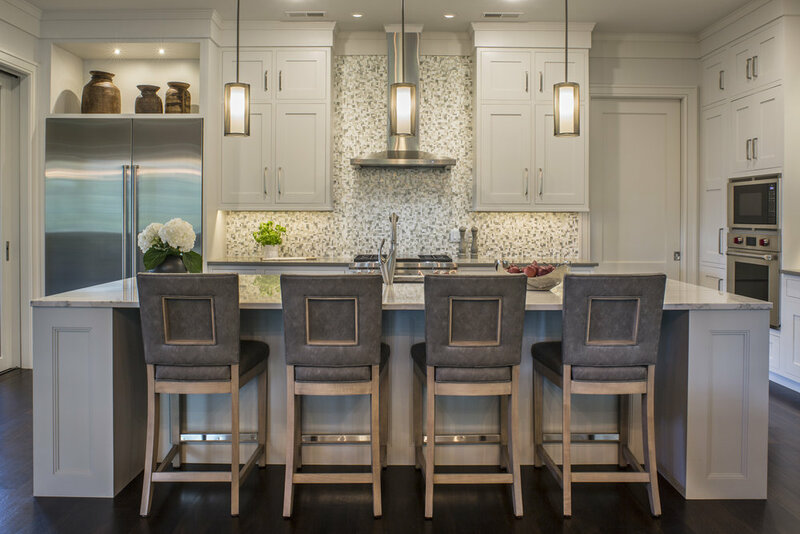 Two fixtures from the Hammerton Studio Bamboo glass collection illuminate a kitchen island and seating area. 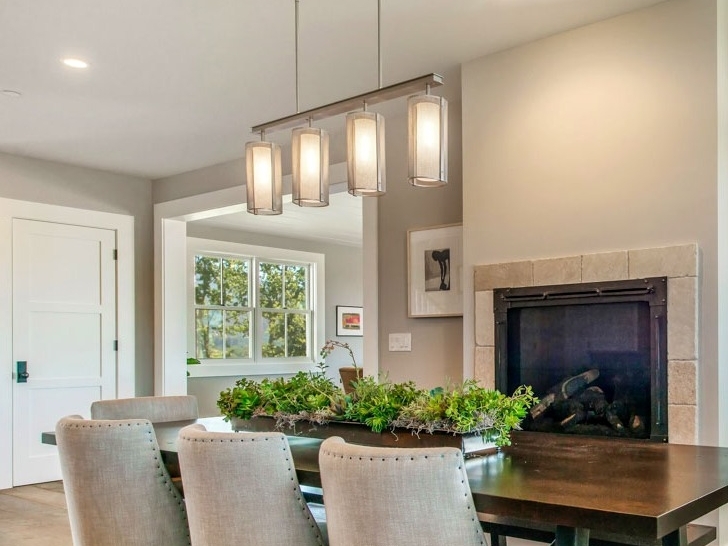 Above the seating area: a Bamboo mult-port chandelier from Hammerton Studio. 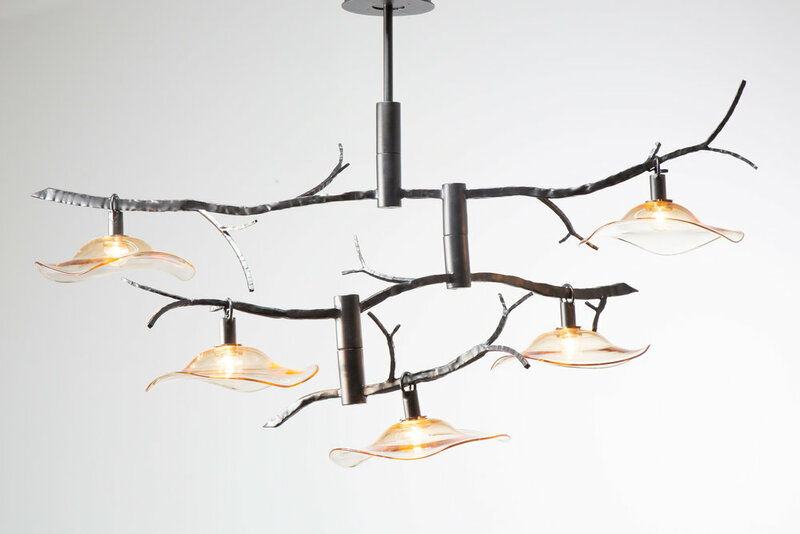 As in all forms of art, memorable lighting design frequently makes bold use of contrast. Much of the custom work we create in collaboration with our design clientele explores the power of contrast in material, texture, color, form, scale and space. It’s interesting to note that many recent custom designs coming out of our ‘shop’ have focused on the study of contrast relative to one particular color: gold. Along with other metallics, gold tones — ranging from true gold to brass to amber — are increasingly becoming used as neutrals rather than accents. Pairing gold tones with other neutrals like black or white provides a visually compelling, high contrast combination that creates drama and edge. Black, especially matte black, is increasingly deployed as a super sleek, moody color that can command a leading role in spaces well beyond the ‘statement’ powder room. Pairing black and gold in lighting design results in an aesthetic that is rich and warm, yet bold and modern. 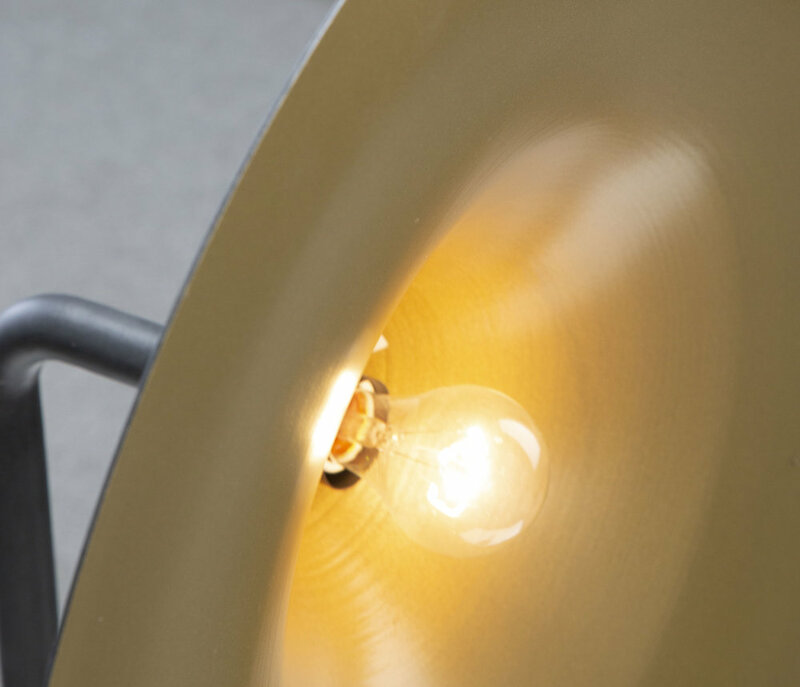 Adding a layer of gold, whether it’s in the color of a glass shade or the finish on the underside of a fixture, packs a striking impact. Together, black and gold can also look refined and timeless with its effortless ability to set a sophisticated mood. The design versatility of this color combination easily explains its increasing popularity. Above & below: a gold interior finish updates the look of this traditional barn light fixture style. Several of these 24”D sconces were commissioned for a large hospitality project at the Yellowstone Club.. This classic color combination evokes the ultimate in luxury and glamour. Whether it’s a modern, contemporary, or a traditional interior design style, a contrasting gold and white color palette sets an upscale, sophisticated tone. 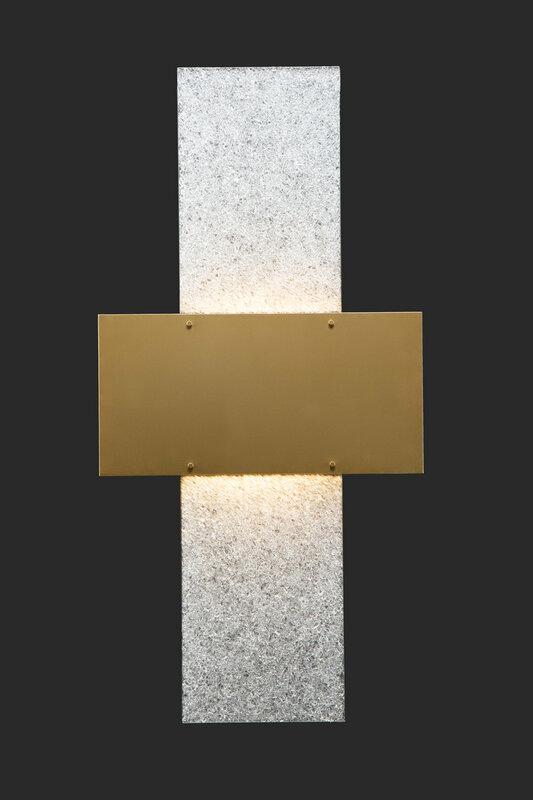 Four feet in height, the statement wall sconce shown above pairs a gold-toned finish with sparking panels of our Rimelight frosted kiln fused glass. Several of this design were commissioned for a large Miami oceanfront condominium complex. 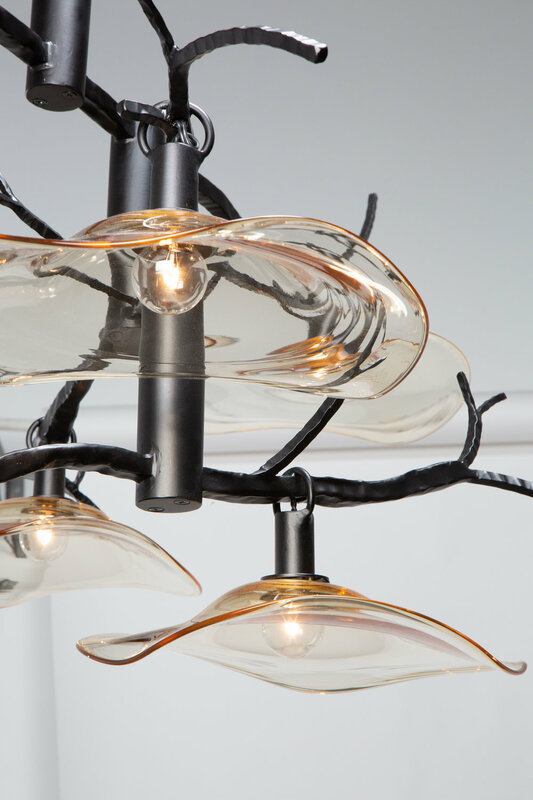 Above & below: A gold and white palette underscores elements of traditional and modern style in this sleek 42”D ring chandelier, designed in hand-polished steel and glass. 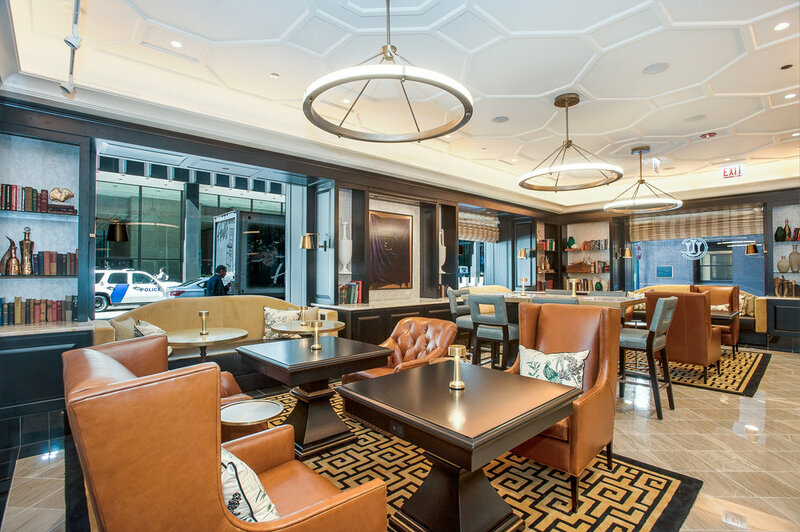 A trio of these fixtures were recently installed in the newly renovated “One” business lounge at the historic Union League Club of Chicago. 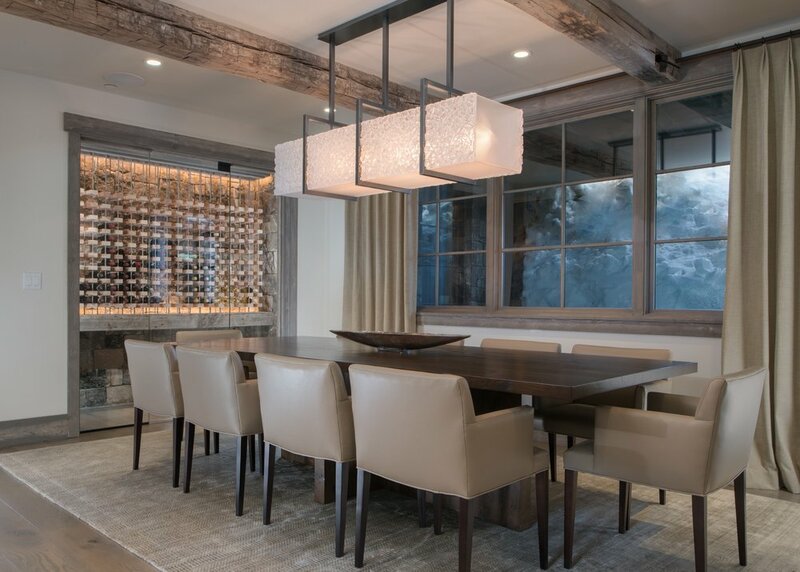 Similarly, in the custom dining light shown above and below, hammered metalwork quietly echoes the organic aesthetic of the undulant glass shade, lending an important element of harmony to this asymmetrical fixture design. 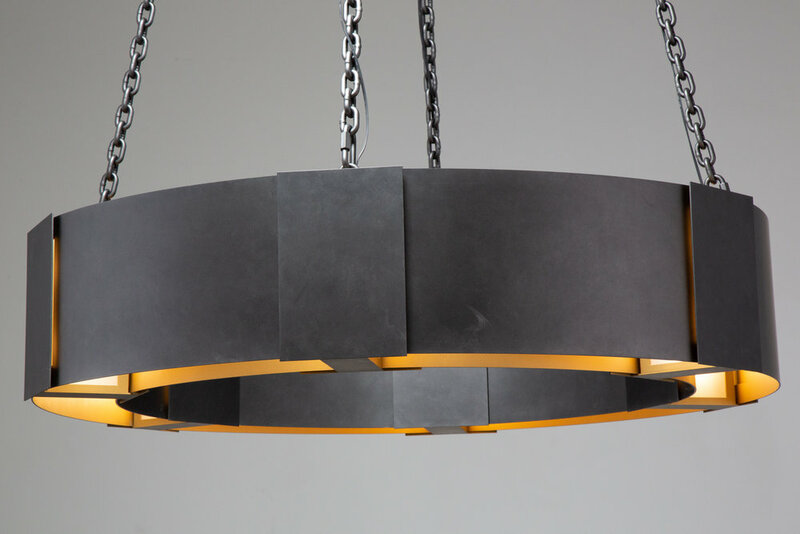 A high-contrast palette juxtaposing luminous amber-colored optic blown glass and matte black steel adds design edge to the modified LAA2013 pendant shown above. See anything of interest? 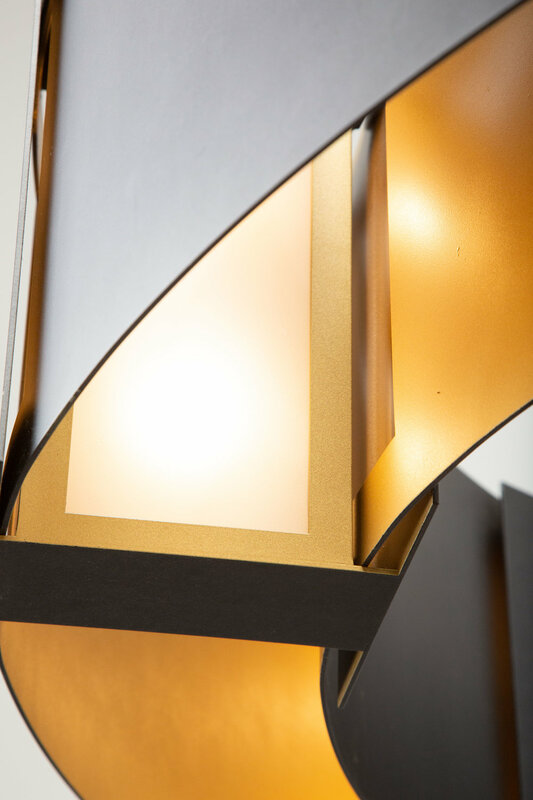 Contact your Hammerton representative for details on any of these recent custom designs, or to incorporate ‘bold gold’ contrast in your next lighting project. 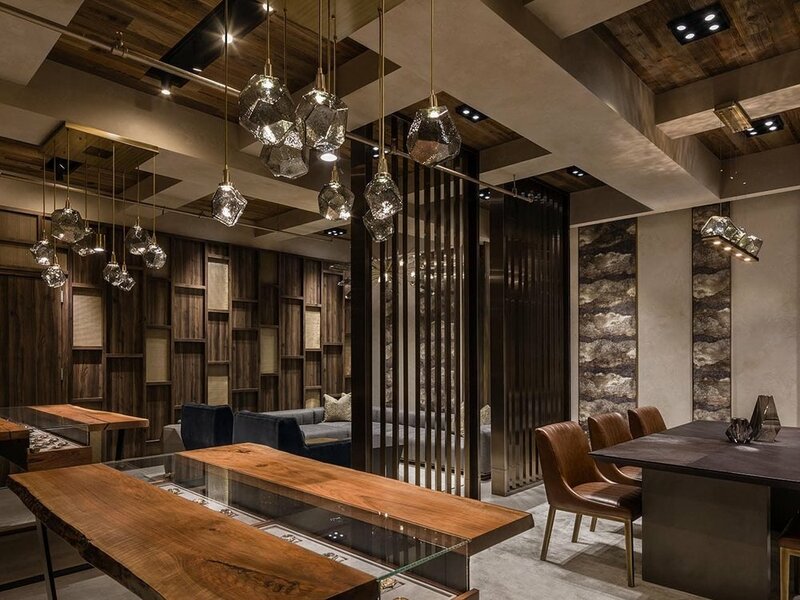 NYC-based SEED Design Solutions Inc. conceived this sleek boutique-style showroom interior for Avi & Co., a luxury watch and jewelry retailer in Manhattan’s Diamond District. 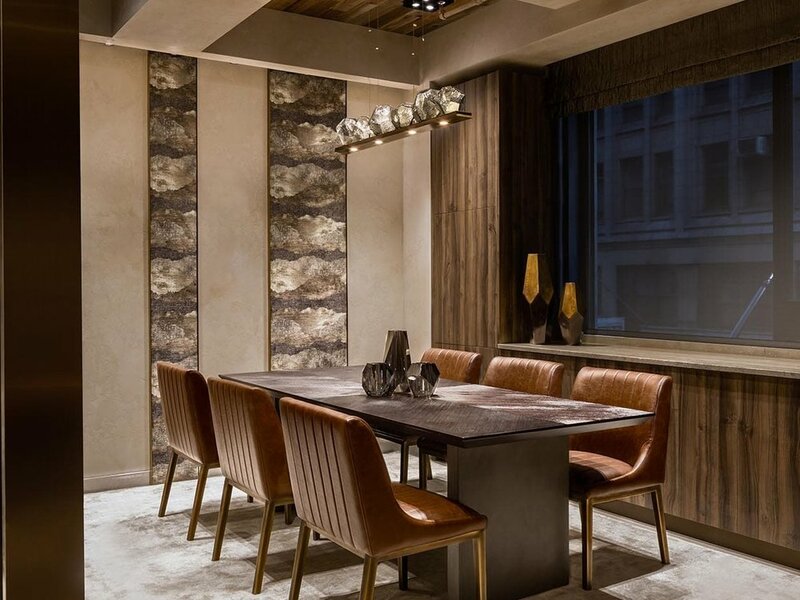 Led by Principal Lesly Zamor, the SEED team layered reclaimed woods and natural stone with metallic finishes and faceted surfaces. Located between 5th and 6th Avenue on West 47th Street, the Diamond District is the primary destination for jewelry shopping in Manhattan. 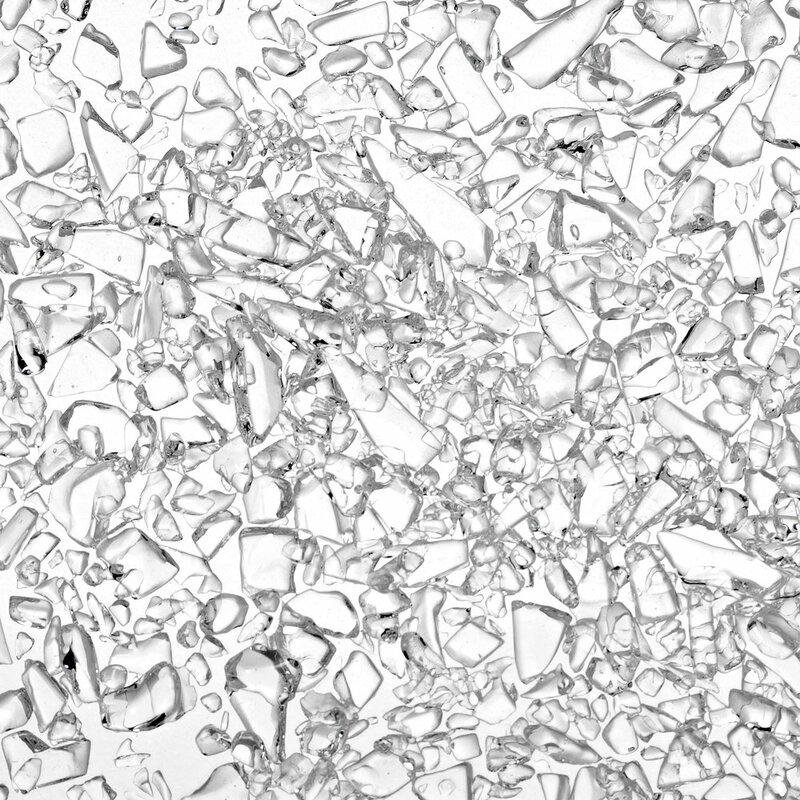 Since World War II, when thousands of Jewish diamond merchants were forced to flee Antwerp and Amsterdam and settled in New York City, the district has become a central player in the global diamond industry. We’re not the only ones excited about the beginning of winter. Our clients are, too! 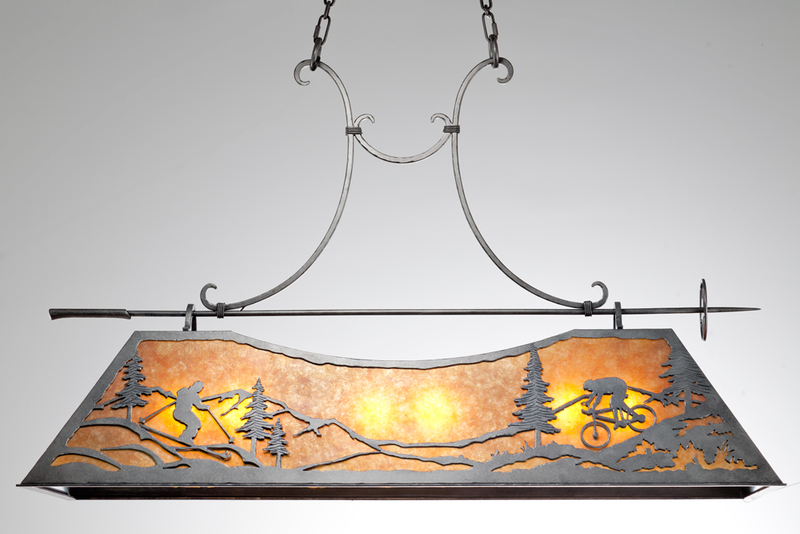 A wonderful custom light just came through our shop that will get you in the spirit of the season. A whimsical row of miniature ski gondolas, each individually illuminated and hanging delicately from a “cable”, are a perfect example of how our designers, engineers and craftsman bring unique ideas to life. Watch the video below and see for yourself! 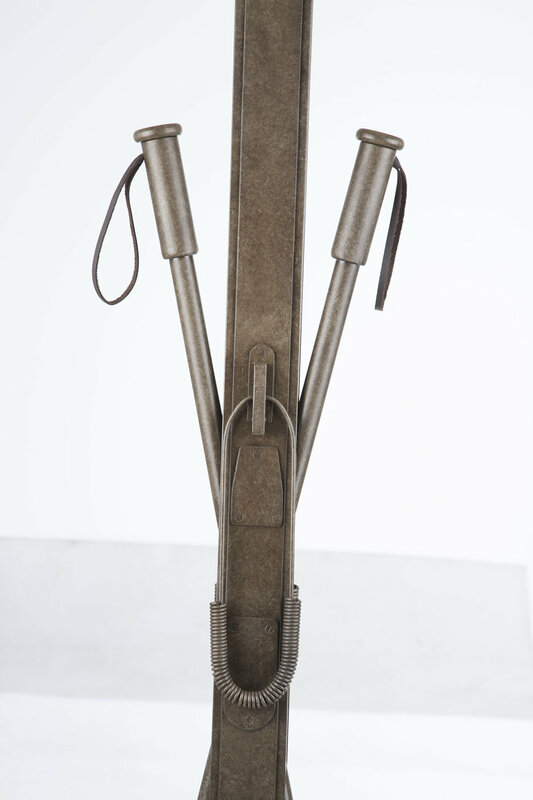 Over the years, we’ve completed several different variations of this gondola light. 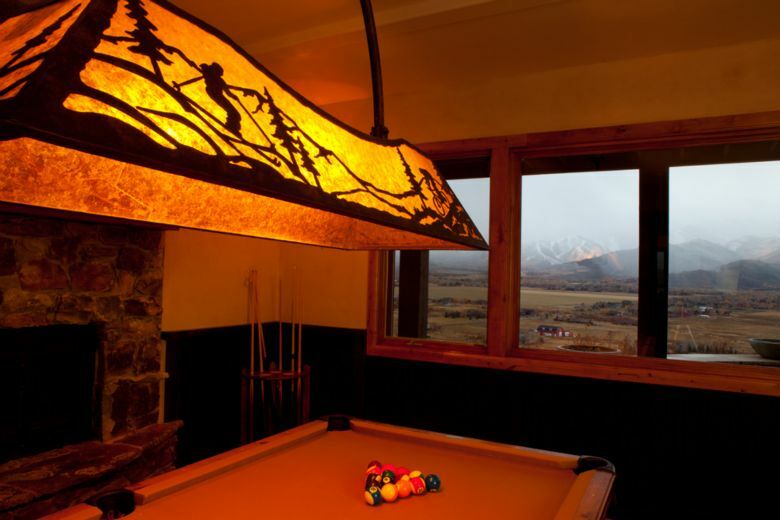 When you want to display a reminder of the mountain life in your home all year round - or any other special custom lighting request - we’re the ones to call! 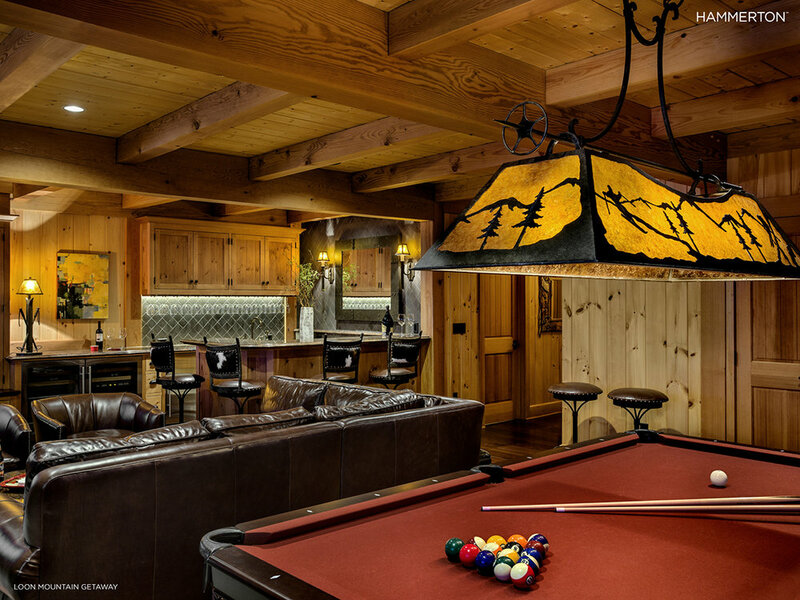 Above and below: a larger version of this custom creation, scaled to 1/3 actual size, hangs in the backyard of a Park City client. 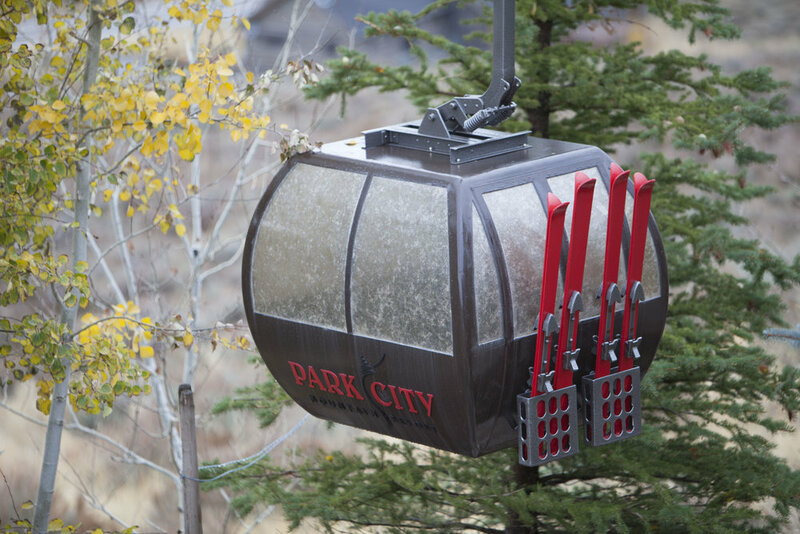 It’s all in the details: If you’ve ever sat on a chair lift, you’ll recognize this cable suspension design. This version, however, is barely an inch in height! 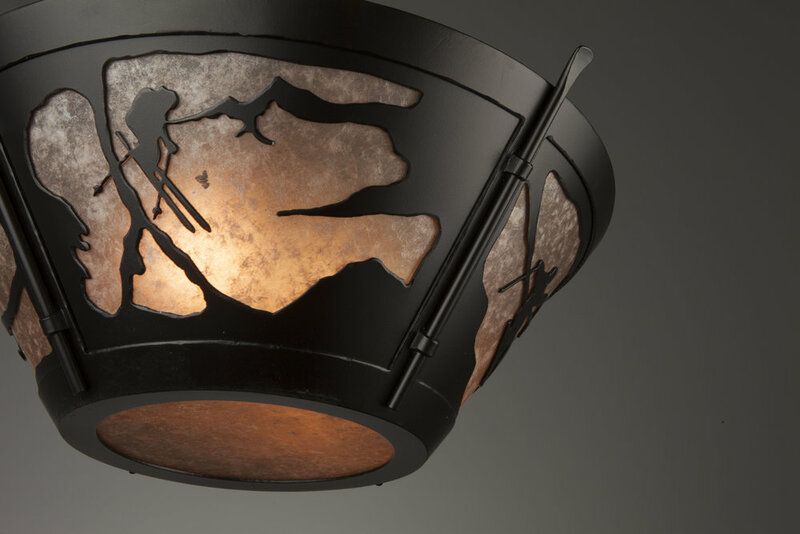 Above and below: Two miniature gondola lights previously done for other mountain-loving clients. 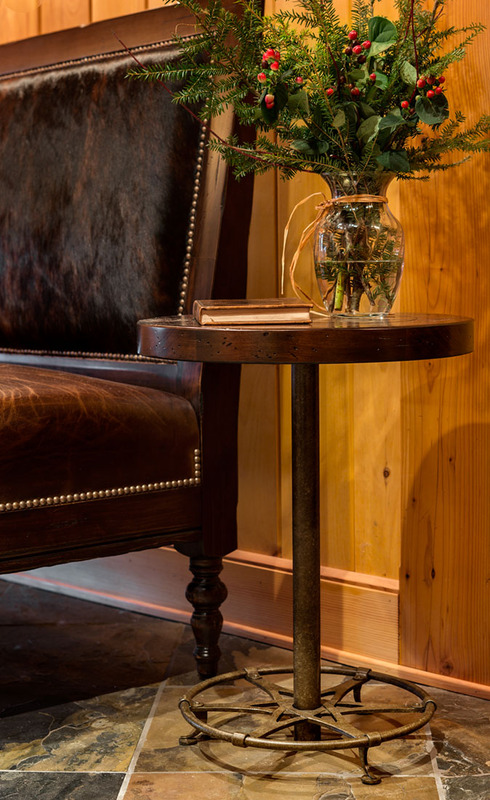 Design by C. Randolph Trainor Interiors. 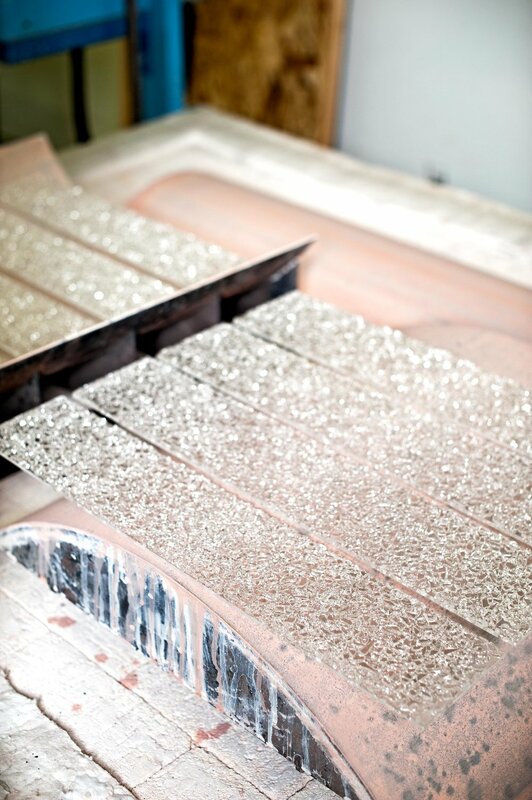 While Hammerton is increasingly known for industry-leading glass designs, it’s our heritage in artisan metal craftsmanship that put us on the map nearly 25 years ago. 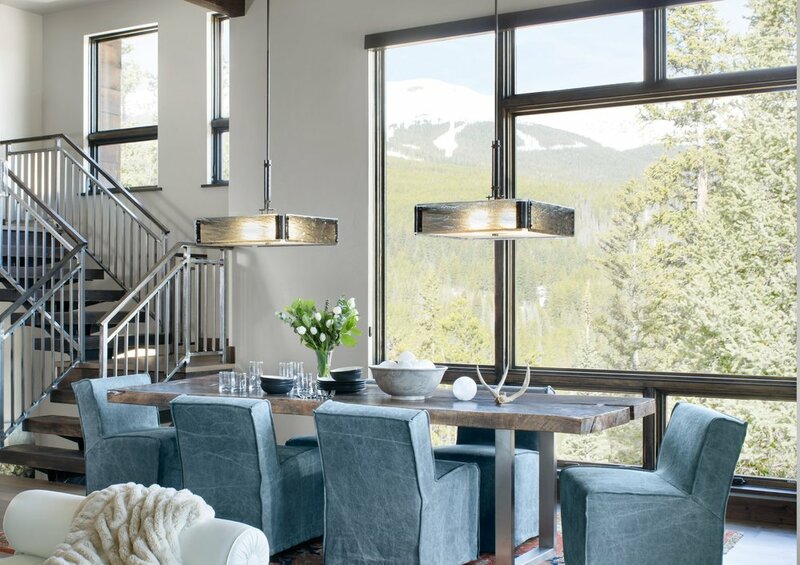 The holiday season is the perfect time to highlight several enduring Hammerton designs featuring winter snow sport motifs in dining lights, game lights, and even custom-made furniture and accessories — all meticulously designed and hand sculpted from steel. 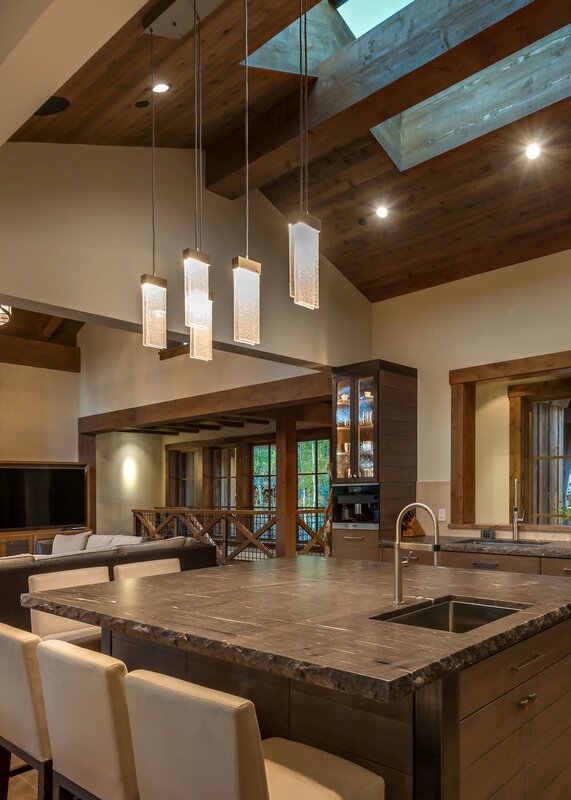 With almost 30 years of experience as a leading domestic custom lighting manufacturer, we are proven experts in what it takes to be successful — not only in design and execution, but also in delivering an exceptional customer experience. 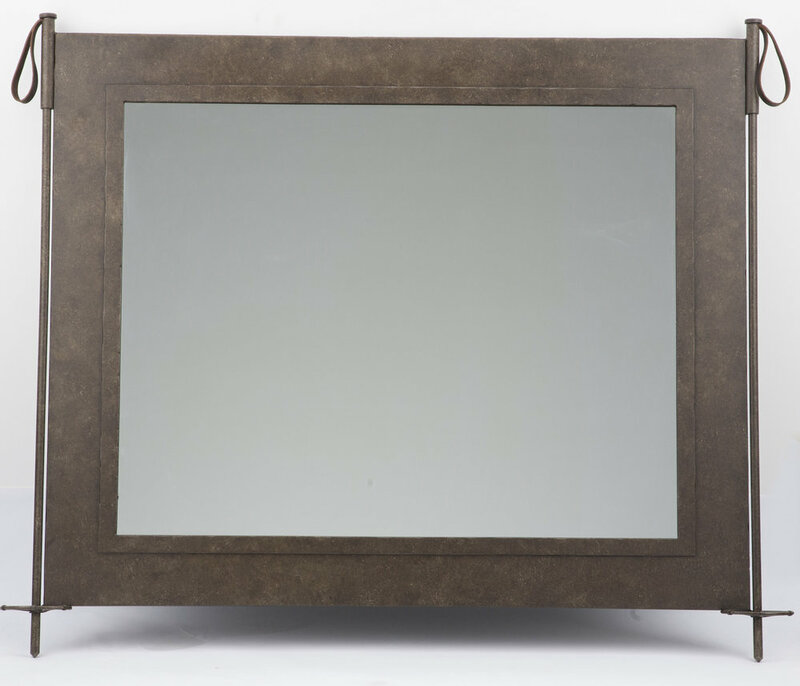 Our custom capabilities go well beyond simply choosing from a selection of finishes or accommodating a specific overall height. 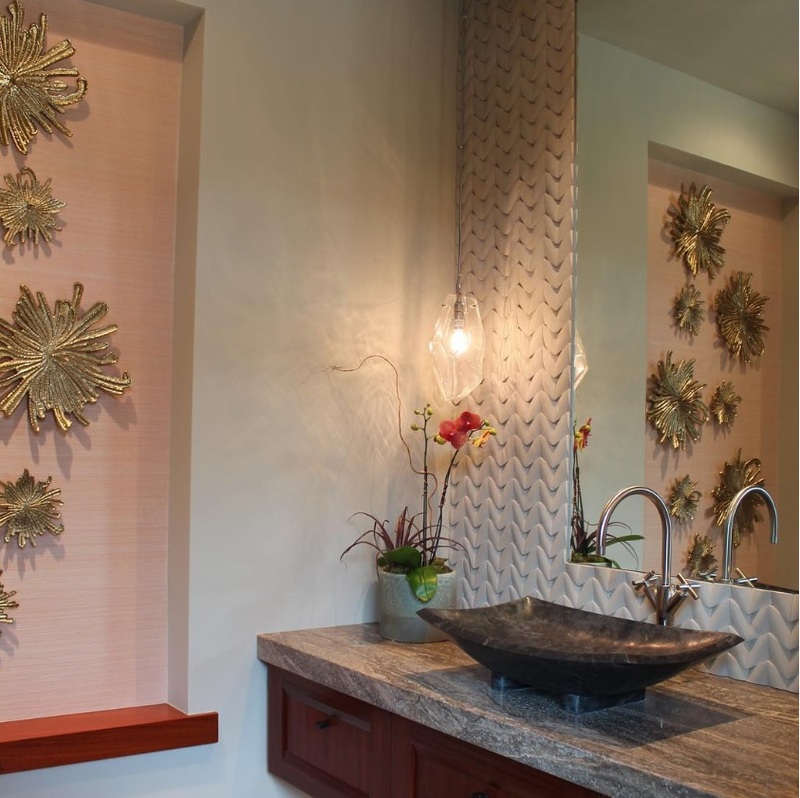 We routinely modify existing designs in size and scale, incorporate customer specified materials, motifs, unique functional features and other design elements, and create entirely new fixtures from scratch. 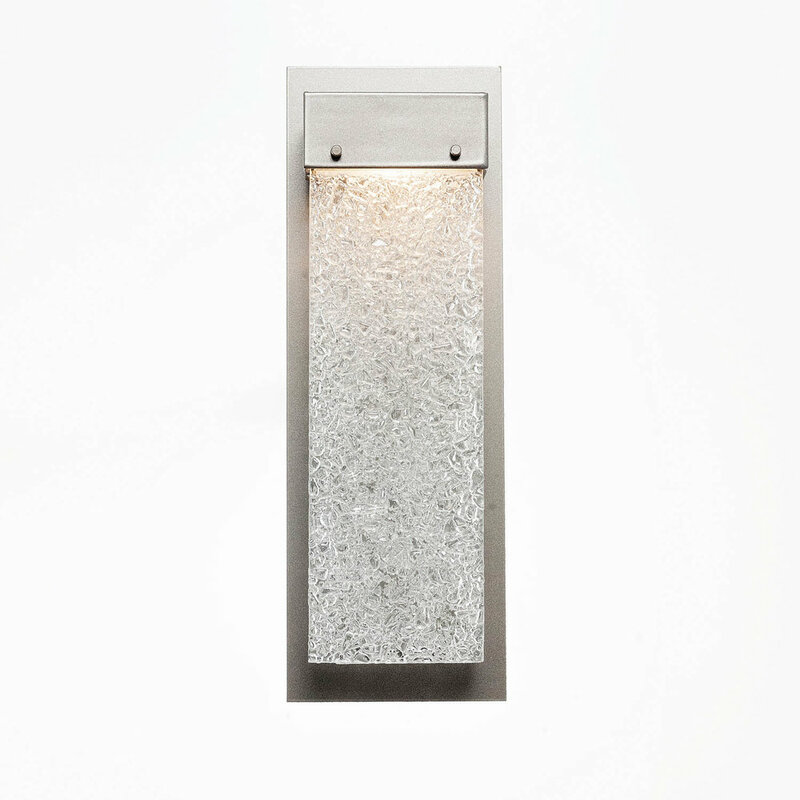 A buffet bar light that doubles as a retractable sneeze guard, designed and built for the Watertable Restaurant at the Hyatt Regency in Huntington Beach, CA. Interiors by EDG Interior Architecture and Design. 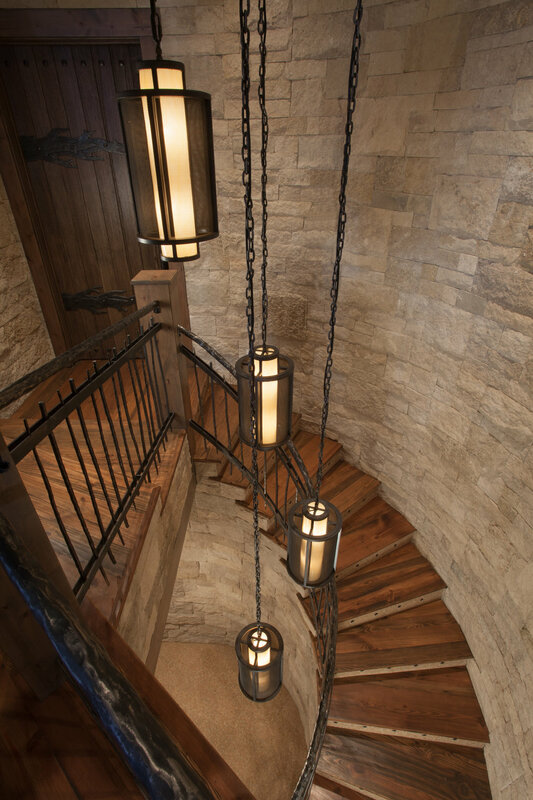 Over ten feet in height, this signature custom pendant in fine mesh graces the stairwell of a Greenwich CT residence. Interior Design by Interior Consultants. 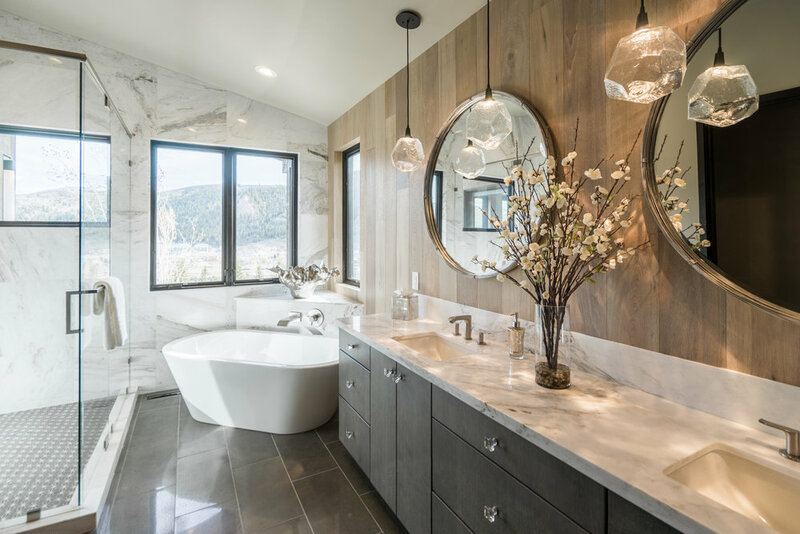 Our custom team regularly quotes a variety of custom projects across a wide range of design styles for residential, hospitality and commercial applications. 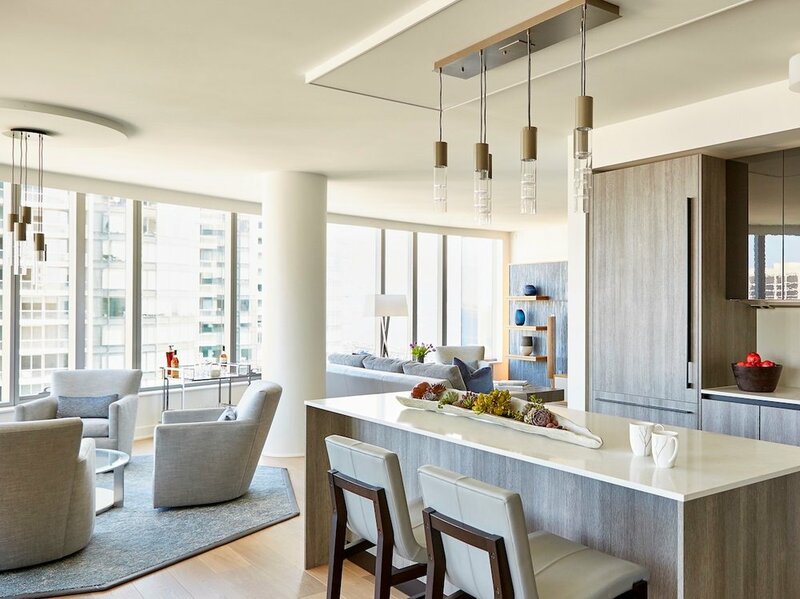 Frequently quoted projects include one-off signature chandeliers, high volume runs of value engineered corridor sconces, ‘whole home’ lighting packages, unique fixtures incorporating thematic motifs, and LED illuminated architectural elements. 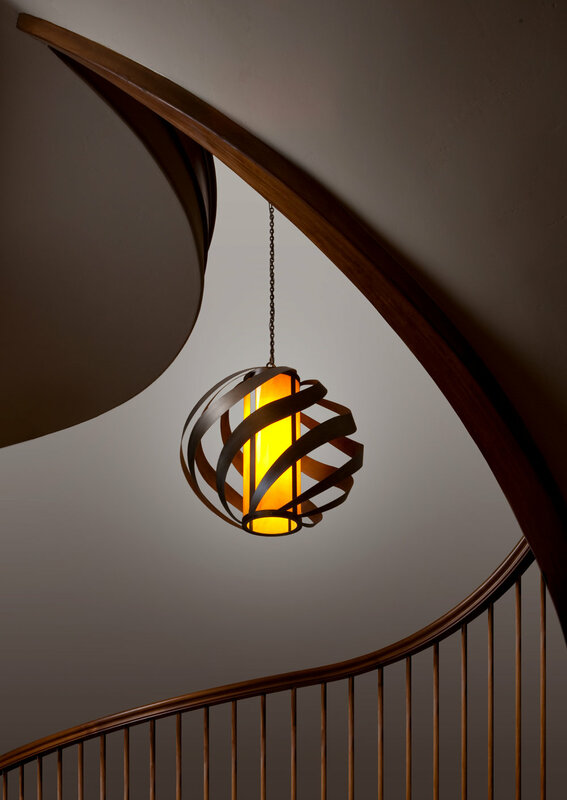 For an Irish client, Hammerton designed a series of custom lights featuring this Celtic knot design. This bar light designed for a recreational pilot makes clever use of a vintage Cub aircraft propeller. The rawhide shades feature hand-inked drawings of three different vintage airplanes. We know our clients’ time is valuable. Prompt service delivery is integral to our value proposition as a leading custom manufacturer. A custom version of an original Hammerton design, enlarged to suit the grand scale of this outdoor space at the L’Auberge Du Lac Resort in St. Charles, LA and engineered to be weatherproof, lightweight and maintenance-free. Design by Montgomery Roth Architecture & Interior Design. All of Hammeton’s operational teams reside under one roof, enabling our designers, engineers, artisans and service teams to work together seamlessly in order to ensure that each custom piece is executed as flawlessly as it is designed. This close collaboration yields faster turnaround with projects shipping in weeks, rather than months. Final inspection of a signature custom chandelier featuring three open “C” rings, designed and built for the entry foyer of a large Florida residence. Although deceptively simple in design, this fixture required significant engineering in order to accommodate the open rings. Engineering horsepower is critical to building design-leading products that seamlessly address both functional and aesthetic objectives. 3D modeling, rapid prototyping, technology integration and finite element analysis for thermal and structural applications.are just a few of the processes our design and engineering teams deploy every day. A 3.5 ton LED chandelier at Isabella Eatery located in the upscale Tyson’s Galleria in Fairfax, Virginia. The fixture was designed and built in multiple operational pieces that bolted together onsite to facilitate installation. 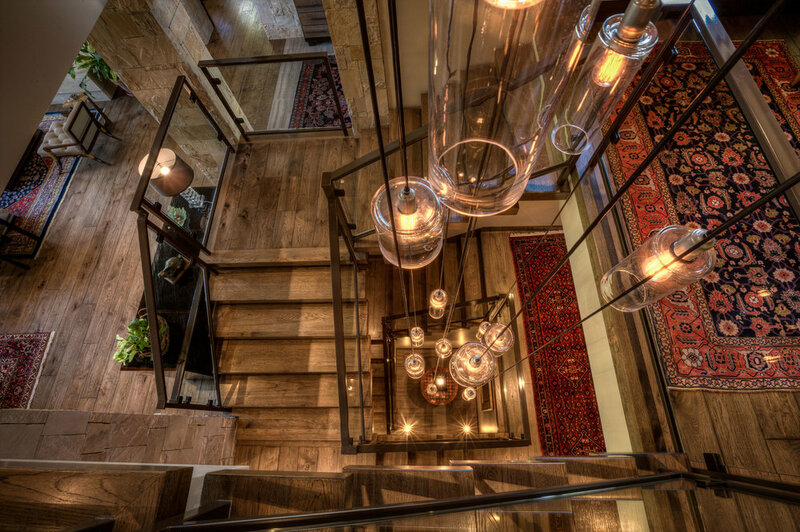 Interiors by Streetsense, lighting design by Illuminating Concepts. 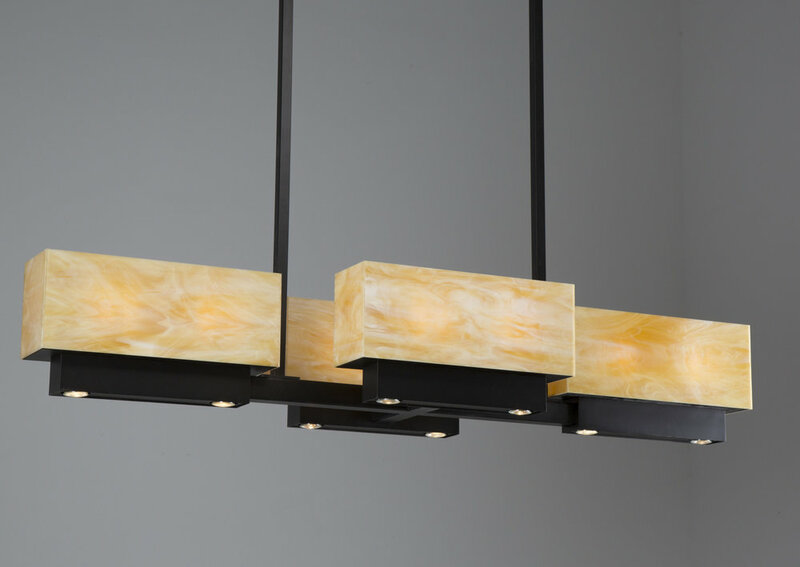 Hammerton began as a custom decorative lighting manufacturer in 1995, and today our operations are still optimized around delivering a superior custom solution across a wide range of styles and materials — on time and on budget. 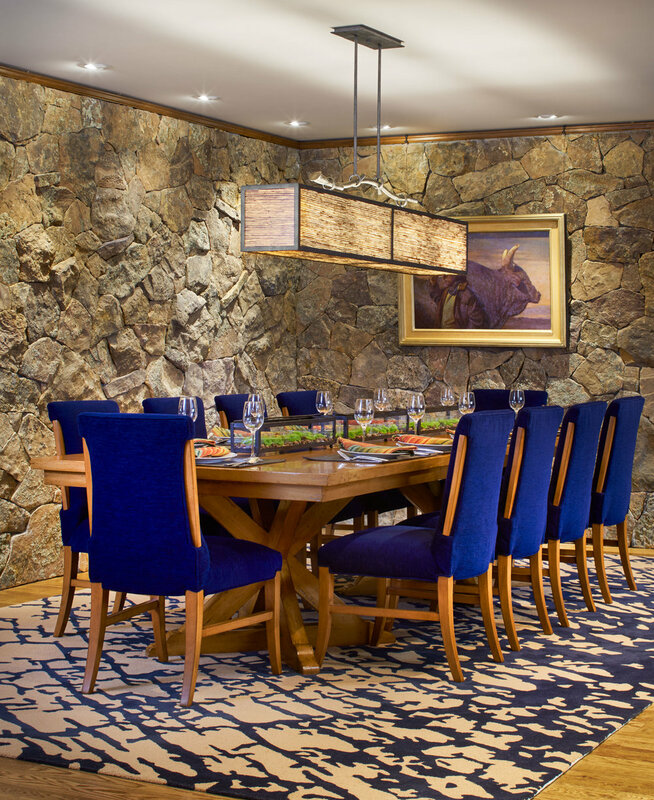 Contact your Hammerton representative to discuss your next custom lighting project! 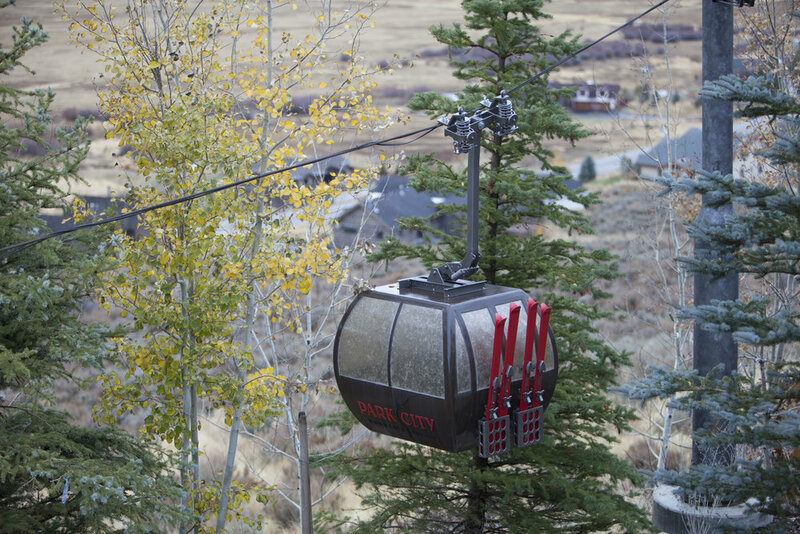 This model gondola at 50% scale illuminates the nighttime backyard of a ski enthusiast in Park City, Utah.